Glass Repair | Is It High Time for Glass Window Repair? You may not give that much attention to your glass windows, but they play a role that will never be replaced by any other component or part of the house. The value of your windows is beyond compare, which is why you, as the homeowner, have the responsibility of taking care of it. Unfortunately, windows don’t last forever, which means you may have to face repair issues occasionally. You do not have to do the repair yourself. The job of a homeowner like you is to learn about the signs that something needs to be fixed. Once you become aware of those signs, the next step is to tap the services of a professional glass repair by Unley Glass. 1 – You see broken, cracked, or chipped window panes. The most evident sign that your windows need repair is when there are broken, cracked, or chipped panes. The culprit could be the use of harsh cleaners, damage from a storm, or if your child decides to throw a solid object to them. Broken or cracked glass panes need replacement as soon as possible. Since you are no expert at it, it is best that you hire a professional to do it on your behalf. 2 – You have rotten and run-down wooden windows. Majority of homeowners in Australia already have taken steps to replace old wooden windows with modern ones; but if you haven’t done that, it is high time that you consider it. Old wood windows usually have rotted frames as well as discoloured sections that look awful and unpleasant. While repair procedures like repainting are possible, there are instances when the only option left is a complete replacement of the frame and hardware. 3 – There is fogging due to broken seals. Fogging is another sign of the need for window glass repair by Unley Glass that every homeowner must learn to pinpoint. 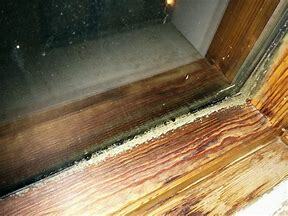 The cause is usually a broken seal that leads to condensation in between the panes. It often happens on modern windows made up of several panes of glass. Therefore, if you have a single pane window, you most likely won’t experience fogging. 4 – There are drafts and leaks on your windows. If you notice the presence of cracks, rotten wood sections, stripping sash, and peels, it most likely means that there is an air leak through the gaps on the window sashes, frames, and dividers. While the average homeowner can seal the gaps without the help of an expert, there are cases in which there is a need for sash replacement and other complex jobs. Therefore, it is best that you choose to hire a professional to solve the drafts and leaks on your windows. The need for an expert in window glass repair depends on the severity of the problem, but there is no shame in letting an expert handle the issue on your behalf since all you want is to retain the functionality of your windows.